“Safety is about supporting a high-quality of life,” says Terry Benson, this week’s Safety Hero. Team-focused, humble, and forward-thinking, Benson uses a behavior-based safety approach to proactively address incidents and issues before they happen. Described by his colleagues as a “teacher” and a “workhorse,” Terry has positively impacted the safety results for every company he’s worked with. 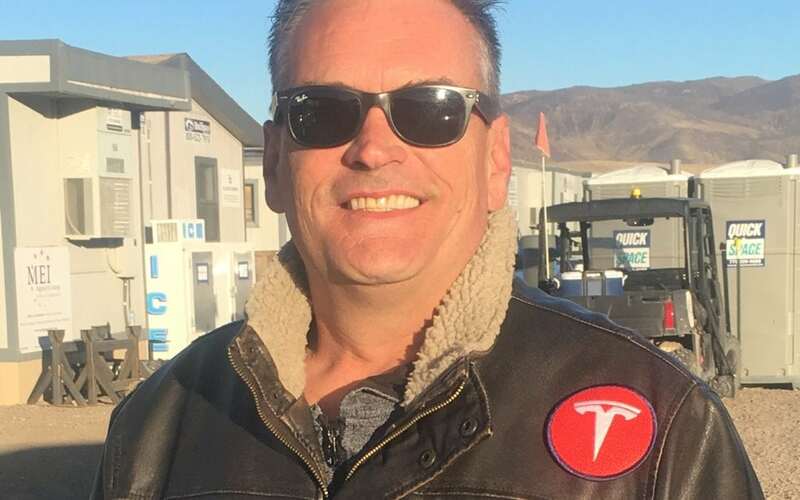 Currently, Terry serves as Sr. EHSS Engineer at the world-famous Tesla Gigafactory. A dedicated worker by day and family-man by night, Terry has a passion for helping others and for making the world of work a safer place. I’ve always been a big believer in “giving back.” I’ve always felt like the people in my life, and the world around me was tremendously supportive and helpful. l figured pursuing a career in a field that keeps people happy, healthy, and alive was the best way to give back to the world what’s been given to me. A commitment to employee development. As safety leaders, we wear a lot of hats – literally and figuratively! One of the most important ones is that of the trainer and coach. It’s absolutely vital that employees feel comfortable asking for help, and that you are an open and willing teacher. They need to feel like people rather than numbers, and that they have an opportunity to learn, grow, and develop in their role. I’ve worked at countless job sites and worked for organizations all over the place. I’ve interacted with hundreds, if not thousands of safety professionals. The best professionals in our space make sure their employees feel comfortable with the rules in place and with asking questions. I’ve been heavily impacted by tragedy – both personally and professionally. My son is the “apple of my eye.” He was born with special needs and required 3 brain surgeries very early in his life. That was incredibly tough for me, but it made me appreciate the little things so much more. It made me realize just how important my role is – that I’m here to help protect not just the people that I work with, but their families at home. I’ve investigated 5 fatalities throughout my professional career and each one hit me incredibly hard. Reviewing the details of each incident, and recognizing the areas that could have saved someone’s life puts the importance of our profession into perspective. There is no reason that someone should die at their place of work. Period. Safety is about supporting a high-quality of life. If you’re able to follow the proper protocols, you’ll be able to work to the best of your ability, while all but ensuring a safe return home. Our goal is to help everyone live the highest quality of life possible… no one should ever deal with a life-changing injury or death because of complacent safety practices. Thanks for your story Terry. Keep smiling! that is a awesome story Terry , I’ve learn a lot from you in my time knowing and working with you. you’re a true professional in your field and very respected for your accomplishments in your profession. That is a awesome story Terry ,Ive learned a lot from you in the little time i worked with you and have grew in my profession from your teachings Thank You for the knowledge your a true professional .